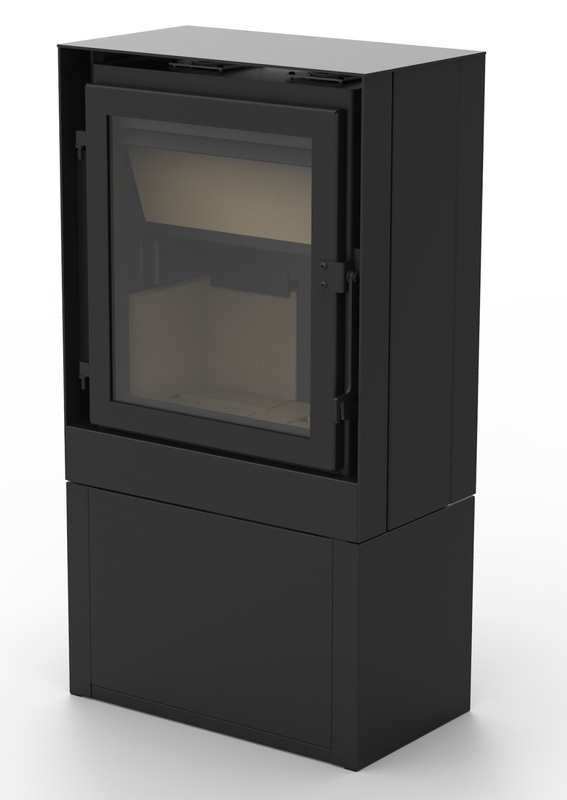 Stove Builder International (SBI) built the innovative Osburn Volta pellet stove in 2012 and made important strides in understanding how sensors can control combustion. The Volta is unique in that it runs on direct current (DC) when all other pellet stoves run on the normal household AC current. The Volta has its own battery pack and can be easily integrated with solar power. After seeing the announcement for the first Wood Stove Design Challenge, SBI knew that it could convert skills and lessons from the Volta to an automated cord wood stove. Their prototype was not ready for that competition, but lead engineer Nicolas Gagnon attended the 2013 event and was excited by what he saw. Guillaume Thibodeau-Fortin, an SBI mechanical engineer, believes that wood stove automation is likely to be one of the main trends in stove manufacturing in the future. But finding the time and resources for the R&D was tricky. Guillaume started working at SBI in 2013 and knows that stove buyers are price conscious and they need to see far more value in an innovative stove than its ability to burn clean. SBI’s location in Quebec, the French speaking part of Canada, gives them more insight and interaction with the European stove market where small, vertical stoves are more popular and where more companies are experimenting with automation. SBI’s headquarters is also not far from Montreal, North America’s largest urban area experiencing severe wood smoke issues. If there is any major North American city that needs a cord wood stove that can run reliably clean in the hands of consumers, it's Montreal. “So we designed this for multiple reasons—not just to build a stove that operates cleanly in our customer's home. Automation also serves to improve safety, efficiency and ease of use,” Guillaume said. The stove is built on two radically new ideas. The first is that the stove automatically finds the optimum combustion conditions. That is a core goal of all modern combustion, whether it’s in a car, a power plant, or now, a wood stove. The second is connecting that stove to the operator to engage, inform and educate the operator to better perform his or her roles. A key problem with appliances that need periodic operating adjustments is educating the owner. Printed owner's manuals are often not good education tools, even when they are read and reread by the operator. The SBI stove is connected via Wi-Fi to a smart phone, and Guillaume’s vision is to transfer the old fashioned owner’s manual into a far more appealing, usable and effective interface on the phone. The stove can alert the operator when it’s time to reload for example, and instructions will appear that can include a link to a video about how to tell if your wood is dry. 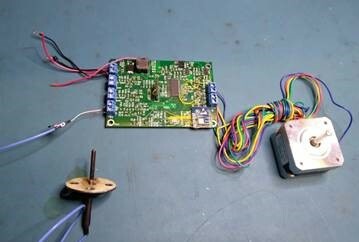 To automate the stove, the first step was attaching a temperature sensor, but the key was to correlate data from the thermocouple with a static pressure sensor. Utilizing an oxygen sensor could have been better but the pressure of keeping down costs steered the team away from that strategy. The team then turned to computational fluid dynamics to track and predict gas activity in the firebox. Efficiency and particulate matter emissions are focal points of progress for wood stove design. With better efficiency, PM is usually reduced as combustion is more complete and therefore cleaner by nature. However, the opposite condition is not necessarily true, as emissions can be reduced by adding oxygen which ultimately penalizes efficiency. SBI is paying closer attention to efficiency, which many stove manufacturers did not do in the past, but ultimately, it’s the PM level that determines if a stove can go to market. SBI’s model for increased efficiency relies on sophisticated control of the primary air inlet and a digital user interface that is connected through Wi-Fi on the user’s mobile device. The stove includes three burn rates, low, medium, and high, and is set to each level via a mobile application. To achieve the user-set burn rate, the automatic stove then takes over, using temperature and static pressure sensors to open and close the air inlets and run a motor that adds primary air in or blocks it out depending on how high combustion is and what level the user would like. While the user has control over the desired heat output, the user does not actually have the ability to change the stove's air flow to raise or lower the burn rate mechanically. The inlet for the primary air cannot be opened or closed by the operator, unless the stove is running cleanly, and if so, the stove will respond in real time to the operator’s changes. If the stove is not burning cleanly, it will first get to a cleaner burn before getting to the desired heat output set by the operator. Setting the heat level from the comfort of your couch via their mobile device should appeal to many customers. Knowing that you don’t have to periodically check to see whether you have given the stove too much or too little air should give everyone in the house more peace of mind. If the main person who operates the stove is out, the person who adjusts the stove doesn’t have to worry about over firing, making stove smolder, or putting out the fire. The internal temperature and static pressure sensors will bring the stove to the desired heat level in the safest and cleanest manner. When we spoke to the President of SBI, Marc-Antoine Cantin, about the development of an automated stove at the HPBA Expo in Nashville, we were struck with how hands off he was with the R&D process on the automated stove. He gave Guillaume and his team the autonomy and support to go through the multi-year process of developing a stove that the company can stand behind. To us, this indicated a company that is big enough to support engineers working on tangential, forward looking projects and an engineering team that has built the trust of management. While introducing an efficient, and user-friendly automated wood stove to the market is important, SBI understands that people are first and foremost looking for an affordable and reliable form of renewable heat. When designing and creating their model, the concept of affordability was always key. One of the three head engineers on the project said, “keeping it simple is best for efficiency and the bank.” For them, the 2018 Wood Stove Challenge is giving them the platform to challenge their engineering skills in order to prepare for a cleaner wood burning future.